66 GABRIEL LEAL TEBAR G. MONTAÑA POLITECNICO ABS MAS 3:32:50 88 77 ? 119 NACHO OLASCOAGA NICOLAS INDEPENDENT ABS MAS VET MAS 4:01:51 147 125 ? RETIRAT JOSE LUIS MIQUEL SALGADO - ARAUJO INDEPENDENT ABS MAS VET MAS 132 100 ? RETIRAT DIDAC JOSEP GARCIA I PEREZ G. MUNTANYA CALP ABS MAS VET MAS 183 165 ? RETIRAT FRANCISCO CORTES LLISTO INDEPENDENT ABS MAS 130 187 ? 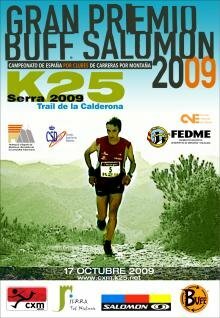 RETIRAT JUAN ESCRIVA CISCAR L'ELIANA RUNNING ABS MAS 179 194 ? RETIRAT ALFONSO ARIZA CARIÑENA ABS MAS 215 206 ? RETIRAT GABRIEL TABERNER TARAZONA AMUNT I AVALL TORRENT ABS MAS 222 207 ?